• View topic - Tannu Tuva Army? It says Lieutenant General and Major-General of the Tannu Tuva People's Revoulutionary Army. I found something, at least insignia for the early 1920s Tannu Tuvan Army! I found shoulder insignias. I credit Alex Yeliseenko for this. A friend of mine in Hong Kong has translated the captions for me regarding the Tuvan insignia posted recently and says that they are totally fictional insignia. 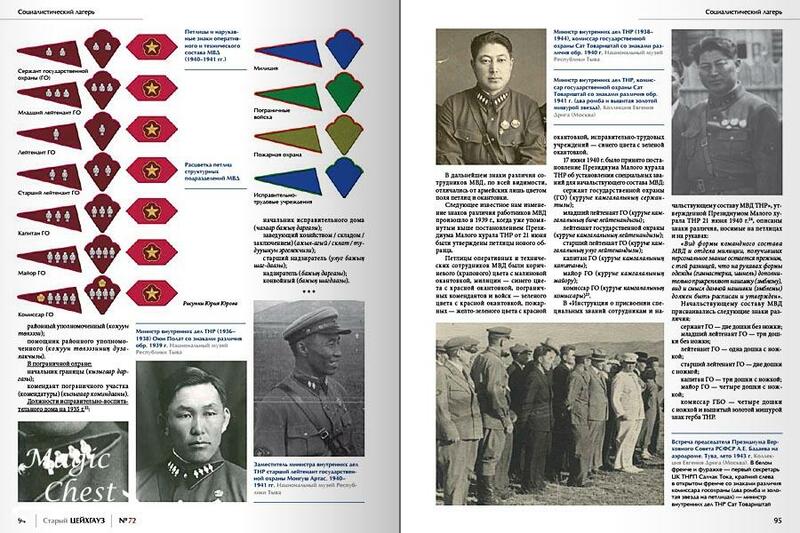 Although they have Tuvan symbols from the early Tuvan flags they are imaginary rank insignia. Finally found the rank insignia for the Tuvan Army in the 1940s era! Interesting. 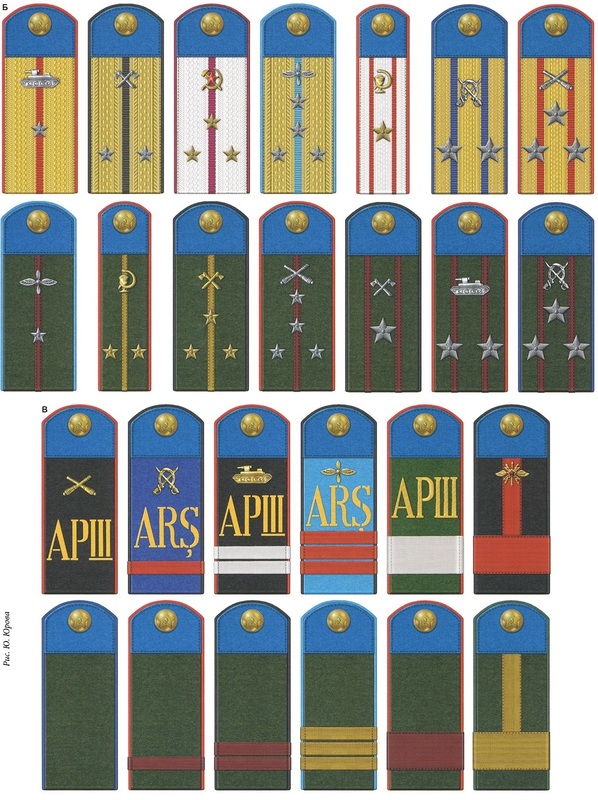 Nothing above Senior Colonel (4 stars + 2 stripes)? Is the officer with the hammer, sickle, and star corps device a political officer? Here's the one with the generals. Actually there are only two general ranks. Not army, but related to Tuvan People's Republic. general_tiu wrote: Finally found the rank insignia for the Tuvan Army in the 1940s era! These are the insignia introduced in 1943 till 1944 when Tuva became part of the USSR.